At the end of October 2012, Phil Ivey announced his plans to launch a new website, IveyPoker.com, dedicated to teaching people how to play poker the "right way." Ivey has since been working to form a team of professionals who will provide free, downloadable video instruction to the poker community. Since the announcement, Ivey has selected 28 players to become part of Team Ivey. Some of the members of the team include Patrik Antonius, Jennifer Harman, Greg Merson, Dan Shak and Cole South. IveyPoker today announced the acquisition of LeggoPoker, a community-based website focused on teaching poker strategy through instructional videos from professional experts. Founded by Phil Ivey, IveyPoker offers a suite of innovative poker products and services designed to both entertain and educate poker players of all levels. The acquisition of LeggoPoker will serve as the foundation for a new IveyPoker product offering called Ivey League — a subscription-based poker teaching site featuring training videos and content from Team Ivey, a network of the world’s best professional poker players. Building off of LeggoPoker’s well-established and reputable poker training site, Ivey League will be the most effective way to improve one’s poker game by offering detailed, individualized instruction from world-class coaches who are invested in making better poker players. LeggoPoker’s team of highly-skilled instructors, including Aaron Jones, Dan Smith and Andrew Lichtenberger, will expand to include members of Team Ivey. 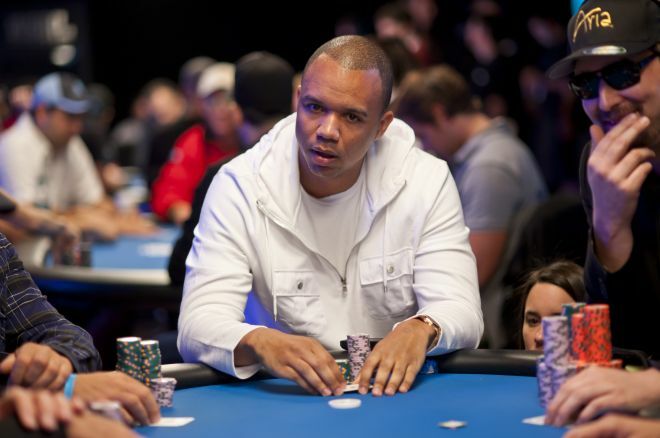 "In my opinion, LeggoPoker is one of the best teaching sites on the market," said Ivey. "They are a great match with IveyPoker and together we will offer a top-notch educational poker destination in Ivey League." Ivey League is the next logical step for players after they’ve received initial instruction from the IveyPoker app, the highly-anticipated and soon-to-be-launched free-to-play social and mobile poker game. Designed by Ivey, the IveyPoker app offers a unique poker experience designed to both entertain and educate. Follow PokerNews on Twitter for up-to-the-minute news.